HOW TO GROW OLD, Ancient Wisdom for the Second Half of Life was written almost 2,000 years ago in 44 B.C. by the Roman statesman Marcus Tullius Cicero. In 2016 a new edition translated and with an introduction by Philip Freeman was published. It is a gem of a book with timeless perspective on aging and invaluable advice on how to live a fulfilling life in later years. It is a read worth the time. Many of us believe that old age is to be dreaded and avoided (if that was even possible) at all costs. 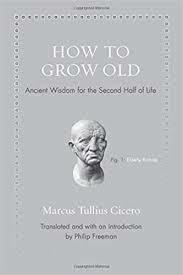 Cicero, instead, finds joy and a form of freedom in being older and as he says, "wiser." He points out others who are role models because they kept their minds "...as tight as a bow." Today we say use it or lose it, but it means the same thing. He counsels against the bad behaviors of over indulgence in food and drink. Exercising self control is a big deal for him. One of our readers told us, "Cicero gives the same advise my doctor gives me. Now I know where he (the doctor) got it." Cicero acknowledges that life can be difficult. "...what troubles doesn't it have." However, he celebrates life and all the learnings and experiences that he garners it the pursuit of living. You could say that he was really an early motivational speaker, highlighting that conquering difficulties is just part of the game and makes us wiser as a result. He also believes the quest for youth is a waste of time. If you read the book, you will find out why. Princeton University Press is the publisher. In their write up they feature the "French philosopher, Montaigne, who said that Cicero's book 'gives one an appetite for growing old'." Two of our Founding Fathers, John Adams and Benjamin Franklin, not only read the book but did so frequently to remind themselves of the wisdom required to age well. Franklin, a printer by trade, even re-published it in the hope that more readers would benefit from the sage advice within. It is a short book for a long life. We highly recommend it. Think of it as a companion reader to Don't Retire, REWIRE! 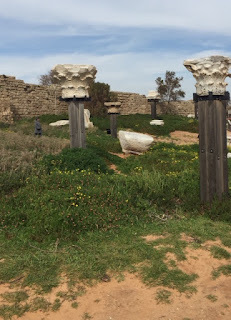 We just returned from a two week archeological tour of Israel. One of the sites we visited was a dig that had unearthed 21 layers of history. Said another way, over time 21 different historical communities existed at the same location. When one community ended, another was built over it. During the subsequent millennium, new "civilizations" took hold. It is hard to imagine when you see how compressed each layer is. 21 different histories exist in about 20 feet of strata. Our guide loved the concept of REWIRING. We all agreed that each community needed to REWIRE itself through the ages. Archeological digs are like individuals. We have many different historical layers of our lives involving interests, work, hobbies and opportunities. People who seem to have the best retirements periodically excavate their own lives. You don't need a shovel or a pick to get to the other layers. You need some time to reflect on what you were previously interested in and to determine if a spark still exists that can ignite your interest all over again. Our readers often contact us with their own stories of excavation and how they ended up with renewed interests after retirement. Among the ideas cited were rediscovered old activities and hobbies they had has children or as teenagers. Some even report they have used past ideas to start an entrepreneurial venture that has enabled them to keep working. Put on your Indiana Jones hat and start digging! Yes! There are Opportunities for Workers Over 50! Age discrimination still exists, but not everywhere. There is something new in the air that feels like opportunity. According to the Bureau of Labor Statistics exceptionally low unemployment rates have resulted in over 7.3 million U.S. jobs being unfilled. If you are thinking about leaving retirement behind and going back to work, now may be the time. According to The Job Network older workers are in demand. If you are thinking of changing jobs even though you are over the age of 50, the stars may have lined up for you. Significantly low unemployment rates are creating a much more receptive environment for older adult workers. 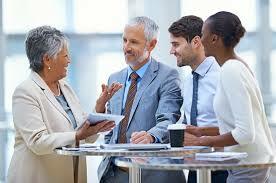 Numerous articles are appearing that highlight that older workers are being valued. Nextavenue.org recently published an article entitled "The Proven Value of Workers Over 50" demonstrating the stability, work ethic and dependability that this work force segment represents. HR departments are becoming believers. The momentum is on your side and we think it's about time! It may also be a good time to invest in yourself. Some individuals are going back to school and getting a new degree and others are pursing certifications that will permit them to start a whole new career. Online learning represents a new opportunity to learn while you are still working. The costs of many online programs are decreasing rapidly making them affordable as well as convenient. If you are already retired and are getting the itch to get back in the game, you don't have to go back to the same type job unless you want to. If doing something entirely different appeals to you, begin by asking yourself what kind of work would you like to do. Come up with some ideas and start investigating. If you hit on one that seems to be a good fit, see if you can find an internship. Yes, older workers do get internships. An internship will either confirm the job is for you or isn't a dream but a nightmare. You can save a lot of time and false starts this way. Often, internships can convert to full time positions. Older workers can readily see that keeping up with evolving technology is a necessity if you want to remain competitive. More and more companies are assigning older workers to age diverse teams that also include younger workers who are on the cutting edge of the latest computer updates. The team benefits from older and younger experience. Don't give up before you start. You may be pleasantly surprised when a potential employer asks you, "How soon can you start?" In November, we had the pleasure of being part of an excellent all day program on retirement in Sarasota, Florida hosted by the Osher Lifelong Learning Institute at Ringling College. Our host was Executive Director, Janna Overstreet. The attendees were a combination of retirees and those who are still working including some that took a day off from work to make sure they get a fulfilling next act. One of the areas of concern was the FEAR of the White Space. This is a condition that affects many retirees. The white space we refer to is the amount of empty space on a person’s calendar once they retire. Some people love their new-found calendar freedom, but not everyone. Before retirement, people dreamed about the day they no longer had to attend meetings with demanding clients or boring customers, not to mention endless sessions with the boss and the team. The idea of retiring sounded very appealing. Many call the initial stage of their retirement-- the honeymoon phase—and they live in the glow of free time and fantasies. After a few months, however, retirement bliss can change and send retirees into panic mode. Some retirees complain of being bored even feeling rudderless. The natural instinct is to immediately fill up one’s calendar with activities. Many retirees, unsure of what they want, start to commit to anything and everything just to be busy. Very quickly the fear of the white space is replaced with a new condition which causes frequent outbursts of “now I’m too busy.” Some people admit that they have even committed to things that they really don’t care about! The remedy for this condition is to unearth interests, identify what really motivates or drives you, and then use this knowledge to select new undertakings that fulfill and energize. Check out OLLI in your area for more great ideas. ANDY MURRAY: Retire or REWIRE? Last week our English friends emailed us when the news broke about Andy Murray’s unplanned retirement. “He says he can’t think what he’ll do, where he’ll fit in, who he’ll be next etc. etc.” He questions who will he be when he’s not what he does anymore! 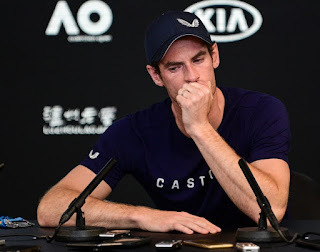 Maybe he shouldn’t RETIRE BUT REWIRE.” Based on our friends comments we decided to probe further into Andy Murray’s dilemma, which is an area we are quite familiar with. 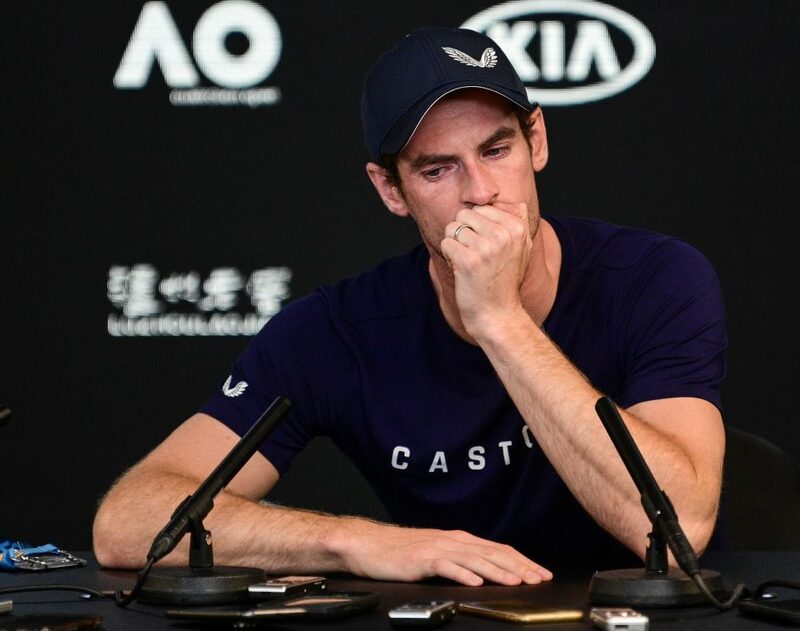 Andy Murray is the 31 year old reigning British tennis champion and Wimbledon star who announced his retirement from the sport due to a severe and recurring hip injury. He has been a fierce competitor and a celebrity. He has been playing since he was 3 years old and in his first tournament at age 5. That is a 26 year career. His departure is sad and poignant particularly because it is not on his time schedule. He commented that he doesn’t think he will ever replace the emotional highs or the excitement that tennis has given him. It sounds like a lot of people we’ve met who have retired and mourn the loss of their job and career. Someone like Andy Murray has a lot of opportunity in front of him. He could be a coach, a commentator, open a school or camp, serve on an international tennis committee, or be a spokesperson for the sport. The list is long and is growing daily. Retirees’ work lives don’t have to end with sadness or the lament, “I used to be someone.” You still are the same person but without the title or the paycheck. Like Andy Murray, retirees still have a life in front of them that can provide the emotional highs and excitement so often desired. the Freelance Economy, Can a Universal Basic Income Work, and What Will Happen to Drivers (truck drivers that is), and Is a Four Year Degree Worth It? The underlying theme was that everyone needs to look at the world of work differently. The old model sectioned life into three parts: education; work; retirement. The new model has education as a life long pursuit. Technological change will require everyone who wants to be economically viable to be enhancing their skills throughout their lives. Many of the jobs of the future don't even exist today and will necessitate a whole new skill set. The future of work is learning! One of the presentations was on Upskilling the Workforce. Upskilling is a new word for us. Simply put, you need to be constantly improving your technology skills. PwC's U.S. Chairman, Tim Ryan, lead the discussion, which talked about an app his firm developed to assist its employees and clients to have access to meaningful technology training. More and more firms are going to be offering this mode of education. One of the other take aways was that a 10 year old child today will on average live to 104. That's the average so someone who is long lived will get to be 120 or even older. The critical message is to start saving for the future as early as you can. But we knew that already!! Last week we attended the New Old Age Conference here in New York City sponsored by the Atlantic. It was a great program that covered many topics on aging. The day long event included presentations and panels on senior employment, care giving, Alzheimer's and dementia, ageism, leveraging technology, and much more. It was really excellent information. One of the sessions we thought very valuable highlighted the need to start preparing for retirement at an early age. How early? Very early! A panel discussion stressed the need to teach children and/or grandchildren money management. After all the sooner you start saving for the big event...retirement.... the more you'll have to sustain your lifestyle. Simple things like how to manage a budget, balance a check book, starting a savings plan, and the power of compounded interest are important tools. Sadly, schools rarely teach this critical life skill. So if you don't do it, there is a good chance that younger members of your family will miss out. The panel also recommended instilling in family members the need to play and exercise. Get out from in front of the screen and go for a walk, a run, or go to the gym, or take a swim was the message. The obesity epidemic can only be overcome if everyone is aware of good diet habits and the need for daily exercise regiments. These two ideas are important at any age, but if you help children get on a path towards a healthier and more financially sound future that will make their life and REWIRING even easier! Start the conversation sooner than later.